Meet Our Friends, Customers, Partners and Fans that are all part of the ORIGIN PC Family. We partnered with The Angry Joe Show and provided Angry Joe and company with two MILLENNIUM desktops and an EON17-X. The MILLENNIUM systems were custom built for improved video rendering and gameplay experiences. We even provided Joe with HD UV textured panels with the Angry Joe and Happy Joe logos! Check out Angry Joe’s enthusiastic unboxing HERE. Watch the live build HERE. Naomi Kyle and AMD visited our headquarters where we had Naomi on as a guest on ORIGIN PC LIVE and also hosted a special live build with her and AMD! The live build was a collaboration between Naomi, AMD and ORIGIN PC working together to build Naomi a new Ryzen and Radeon powered ORIGIN PC MILLENNIUM live on stream! We answered questions from chat and showed off the custom side panels and PSU shroud featuring Naomi’s signature and a Twitch emote. The world’s largest YouTuber needed a helping hand, so we partnered with PewDiePie to provide powerful and fast computer hardware to help him with video rendering, uploading, streaming and gaming. We sent over a CHRONOS to make it easier to edit and upload his videos quickly somewhere with better internet. 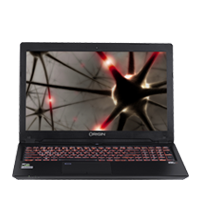 We also partnered with PewDiePie to giveaway an EVO15-S to a lucky fan. It’s just the start of helping PewDiePie with original content. Watch Mr. Robot Wednesdays at 10/9c on USA Network or online on usanetwork.com. Our EVO15-S made an appearance on episode 5 of season 3: eps3.4_runtime-error.r00. Intel invited us to participate in the 2017 Intel Extreme Rig Challenge. We accepted, and went to work to create the most extreme rig we’ve ever built. After weeks of teases, we finally unveiled GENESIS-X2 VR at PAX East. GENESIS-X2 VR featured two VR-Ready PCs in one modified GENESIS case and was powered by Intel CPUs and SSDs, along with NVIDIA TITAN X GPUs. Thanks to our fans and #ORIGINPCFamily we got first place in the Intel Extreme Rig Challenge. Watch our GENESIS-X2 VR overview video HERE. NODE Studios needed an upgraded batch of ORIGIN PCs for their LAN Party set up. We sent them 4 MILLENNIUM mid tower systems and 1 small-form factor CHRONOS. We built one of the MILLENNIUM systems LIVE on our channel for NODE. Watch the Live Build HERE. NODE also had a video welcoming the new systems to their studio! Watch it HERE. Catch The Big Bang Theory Mondays 8/7c on CBS or online on CBS.com, and you’ll see a special green Easter Egg on the second episode of the 10th season which aired on 9/26/2016. As a premier YouTube technology personality, Linus did the unthinkable and completely took apart our ORIGIN PC MILLENNIUM Desktop for his famous 'Un-build' Video Log. You can watch Linus' Un-build HERE. 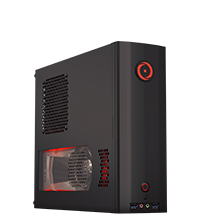 Also, watch the ORIGIN PC LIVE build HERE. LIRIK, famed Twitch Streamer, uses our high-performance systems for gaming and streaming. "ORIGIN PC's are insanely fast and backed by 24/7 expert support. I'd recommend them to friends, gamers, and professionals worldwide." – LIRIK. We built LIRIK a custom painted MILLENNIUM LIVE on his Twitch channel. Watch the live build HERE. Team SoloMid, one of the most popular North American League of Legends teams, was sponsored by ORIGIN PC. Check out the unboxings of their MILLENNIUM systems here. Plus, their notebook unboxings here.